New Delhi, February 7: Managing to keep a strong vigilance at the border and keeping a check on intrusion, the task force recommended use of space technology identifying areas for better border management. These areas are island development, border security, communication and navigation, GIS and operations planning system, and border infrastructure development. The recommendation was given a green signal as Union Minister Rajnath Singh approved use of space technology at the borders. Major recommendations of the report include to build capacity of border guarding forces (BGFs), to use space resources for security, operational planning and border infrastructure development. The task force headed by Joint Secretary (Border Management) and having members from Border Security Force (BSF), Department of Space and Border Management division of the Home Ministry consulted all stakeholders including BGFs, Indian Space Research Organisation (ISRO), National Security Council Secretariat (NSCS) and the Ministry of Defence (MoD) to prepare the report. With the assistance of the Department of Space, the Home Ministry would implement the project, which will strengthen islands and border security and facilitate the development of infrastructure in border and island areas. To execute the project in a time-bound manner, short, medium and long-term plans have been proposed for implementation in five years in close coordination with ISRO and MoD. In short term, immediate needs of BGFs will be met through procurement of high-resolution imagery and hiring of bandwidth for communications. In mid term, one satellite is being launched by ISRO for the exclusive use of the Home Ministry. Over long term, the Ministry will develop ground segment and network infrastructure to share satellite resources by user agencies, develop a Central Archival Facility for storing various imagery resources and dissemination of the same to user agencies. Deployment of Central Armed Police Forces (CAPFs) in remote areas will be also coordinated through satellite communications. Indian Regional Navigation Satellite System (IRNSS)-based GPS will provide navigation facilities for operational parties in high altitude, remote and difficult borders, and Maoist-affected areas. 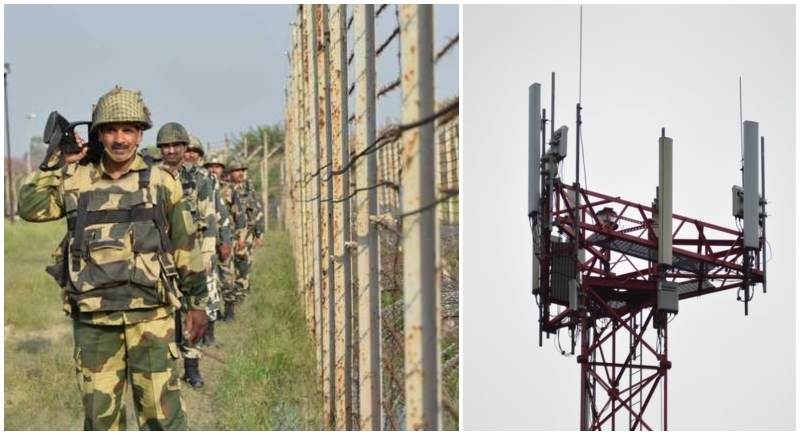 The BSF has been designated as lead agency for implementation of ground segment and network infrastructure including the establishment of archival facility.